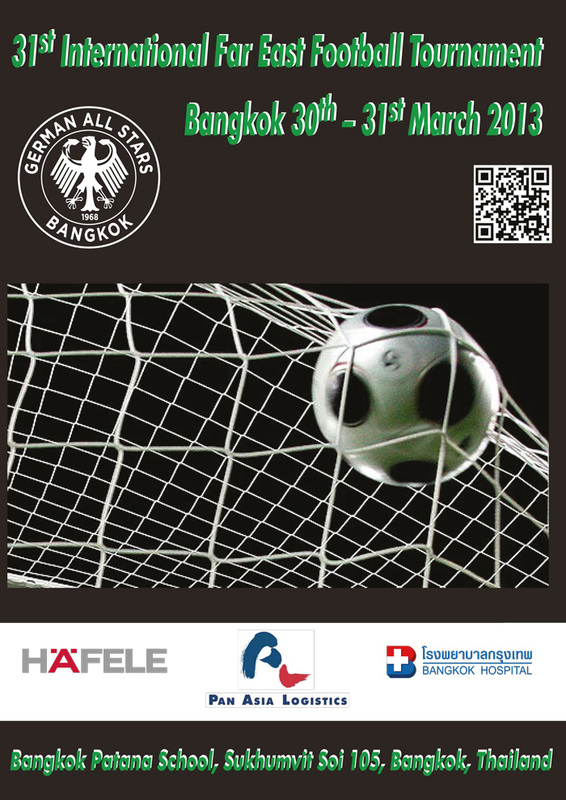 The 31st Far East Football Tournament, also known as Easter Tournament, took place on the Easter weekend 30th and 31st of March 2013 at the Bangkok Patana School ground in Bang-Na, Bangkok (see map here).In total, we had 16 teams participate in the 11 a-side open competition, 15 teams in the 7 a-side Vets 35+, and 4 teams in the 7 a-side Masters 45+ competition. Turnierbericht in Deutscher Sprache hier. Die offizielle Bekanntmachung in deutscher Sprache ist hier zu finden.